This will be our 16thclass at Commissioner’s School for Agriculture. 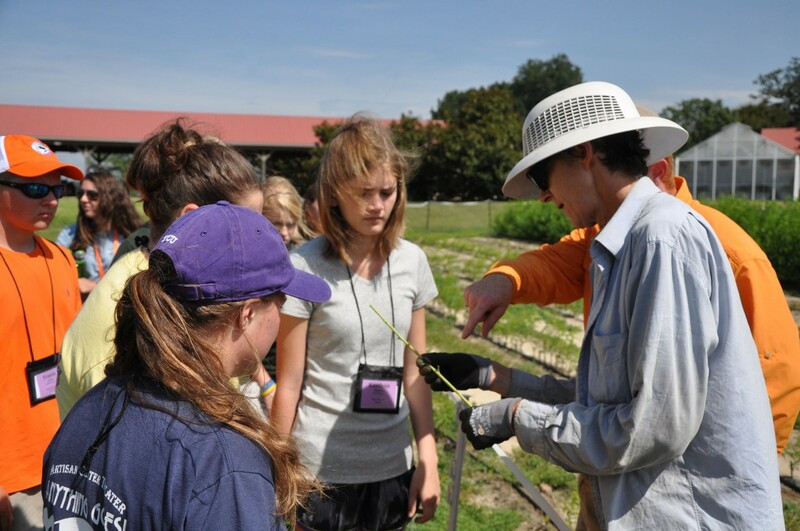 We pride ourselves in providing rising juniors and seniors an opportunity to explore ag related majors and careers. The School is held every summer at Clemson University. The folks at Clemson have been great partners in this ongoing effort to engage the future leaders of agriculture. To date, we have 540 graduates of the program. 143 are currently employed in an agriculture or natural resources related career. It’s not just a South Carolina program either; we have alums that represent 15 states total. While all the students that attend Commissioners, School have expressed an interest in agriculture, they don’t all necessarily come from a farming background. The week-long summer program includes academic sessions with a little fun mixed in. Students select a path of study from animal sciences, forestry & natural resources or horticulture. Also, the students are taken on an industry tour where they see the actual production process of agriculture. They visit farms such as Titan Farms, Yon family Farms, Amick Farms, Log Creek Timber. And they have the chance to go white water rafting, visit Death Valley, shooting sports and enjoy a Certified SC farm to table dinner. The application process has become increasingly competitive. We only accept 35-40 students out of a pool of around 70-80 applications. Students must complete a written application and submit a current issues essay. They also can send a video for their personal introduction. If you have a high school student interested in agriculture, I encourage you to have them apply. The experience will benefit them for years to come. Commissioner’s School will be held July 20 through the 26 and applications are to be postmarked by April 12, 2019. Tuition is $375 for in state students and $650 for non-residents.